Investigating or discovering the Bahá’í Faith did not happen in my case, all because I was born and brought up in a Bahá’í family. My parents Mr. Chong Kia Toon and Lily Jansz were among the earliest to have accepted the Faith in Penang Island in Malaysia. I thank my parents for bringing me up the Bahá’í way from the time I was born on 29 September 1960. Later when I grew up, my mother told me that she was praying for me even when I was in her womb. From the time I was born, I was basking under the teachings of Bahá’u’lláh with constant coaching coming from my mother, learning to say prayers at the very moment I started uttering baby words. It was an added blessing that my home served as a Bahá’í center in Georgetown for all the years I was in Penang.With so many activities taking place round the clock, the environment created a very strong influence upon me. There was a constant presence of Bahá’ís -young and old, local and foreign. All the discussions were on the Faith and that provided a positive vibration in my home. My childhood memories were attending children’s classes and running around the Sundrams home in Peel Avenue, while my parents were having their Bahá’í meetings. 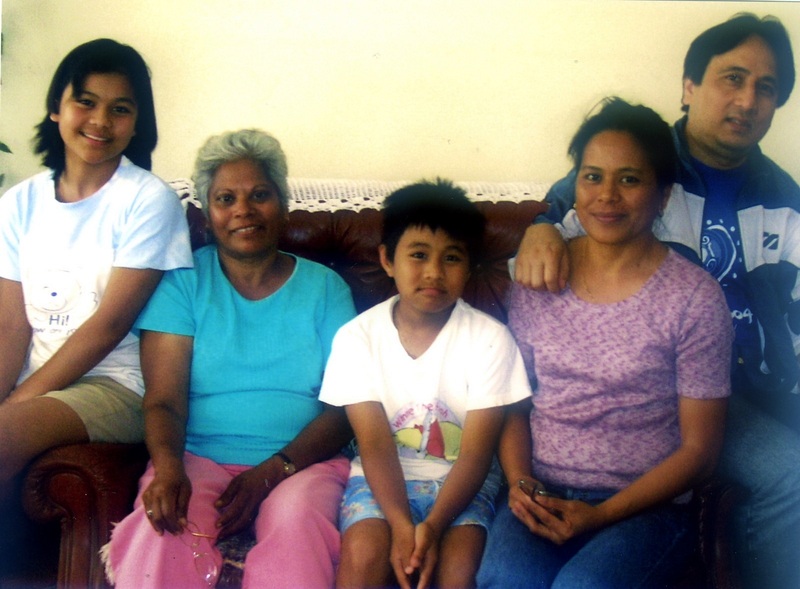 I grew up moving closely with the children of the Sundrams- Nita, Padma, Susheel and Malini. We learnt simple prayers and Bahá’í stories, along with Bahá’í virtues. My mother did not stop my training at the children classes alone. She used to tag me along with other Bahá’ís of Penang for gatherings held nationwide, especially summer schools. When I passed on from adolescent into youth, I was absorbed into the circle of a dynamic set of youth in Penang. During the 1970s the Penang youth were one of the most active in Malaysia. I naturally fitted into their activities. I was slowly involved in teaching activities in Penang. The early 1970s were indeed an exciting time as we all ventured into opening up new areas, with great souls like Lim Kok Hoon, Wong Meng Fook and Soh Aik Leng. My mother joined them and took me along. I remember this group opening up the first fishing villages in Penang, especially Kuala Sungai Pinang. From there the teaching trips were expanded to the other neighboring villages. Soon we became obsessed with teaching. Every weekend we made trips to consolidate the new believers in the fishing villages. That laid a good foundation for my field teaching. 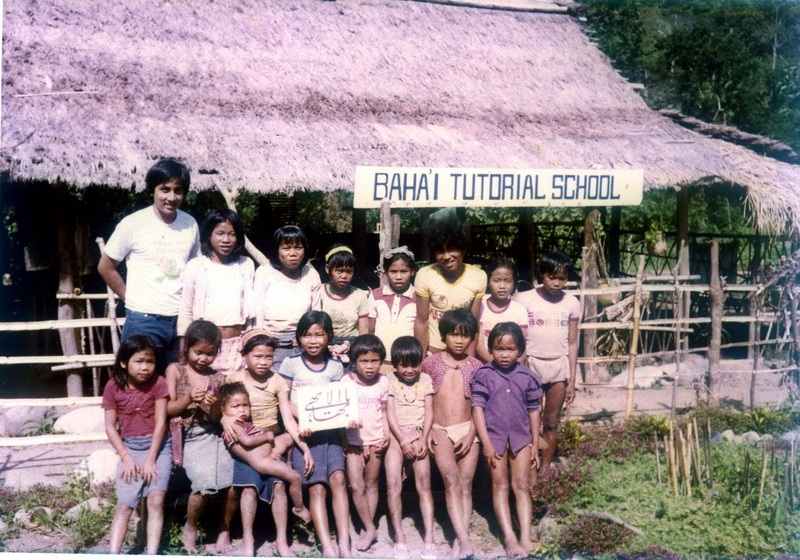 While waiting for results of the Malaysian Certificate of Education examinations in 1977, I was encouraged to travel teach in south Thailand. I joined a teaching team, visiting and opening up villages around Haadyai and Phathalung towns. I then moved to northeastern part of Thailand to participate in the teaching campaign. The Santhitham Bahá’í School was located here. While I was carrying out teaching activities came my results of the Malaysian Certificate of Education examinations. I was happy to have passed well. As any other student, I had to make my next decision, where do I further my studies. I was praying hard and I was guided to become a student pioneer. I was guided by a loving Counselor. 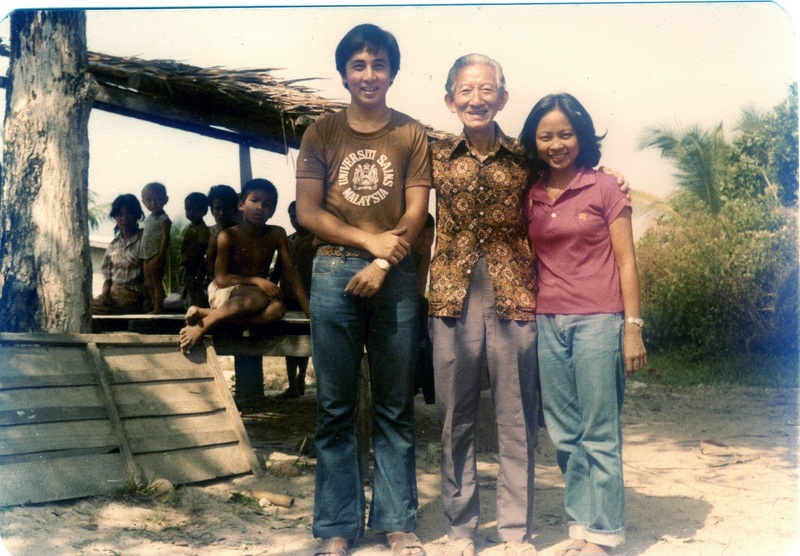 He was none other than the ever humble and loving Counselor, the late Vic Samniego from the Philippines. He persuaded me to become a student pioneer in India or Philippines, as there was a need of abundant pioneers those countries. After prayerful reflections, I chose the Philippines. My mother gave all her blessings for this decision I had made. In May 1979, after gaining some 18 months of travel teaching experience in Thailand I packed my bags, and with my mom’s full blessings I flew off to Manila to start my new life as a student pioneer. I was enrolled into the University of Santo Tomas in Manila. I I landed with all my dreams of active involvement in Bahá’í activities. But my days in Manila were uneventful as far as Bahá’í activities were concerned, as most of the teaching activities were going on in the provinces. In Manila most of my activities had to be confined to week-end deepening classes and attending Feasts. Since I was in Manila city, I felt I could not measure up to the expectation of a student pioneer. I was down in spirit. I prayed hard. After much consultations with Counselors Yankee Leong and Vic Samaniego I decided that the best move was to go to the provinces where actions were in store. After a semester I transferred to the Virgen Milagrosa University in the San Carlos City in the province of Pangasinan, located about a 5 hour journey northwards from Manila. There I enrolled myself into the Dentistry Course. I took up this professional degree as I was told that as a Dentist there will be more opportunities for pioneering in the future. San Carlos city at time had a new Assembly. There were quite a number of Iranian student pioneers too. Apart from my studies, most of my time were consumed by consolidation and teaching activities in other newly opened communities nearby. There were well organized weekly children classes. During semester breaks there were always some teaching conferences, summer schools or winter schools taking place somewhere. During the 1970’s and 1980’s there was tremendous growth in terms of enrollments due to the selfless work of pioneers from Iran and the United States. We had our hands full in consolidating all the newly opened communities. It was indeed a challenge. During the holidays we also had island teaching activities. Philippines is made up of more than 7000 islands, and as such there were many virgin territory everywhere. I remember those exciting times when we undertook long and tedious trips. 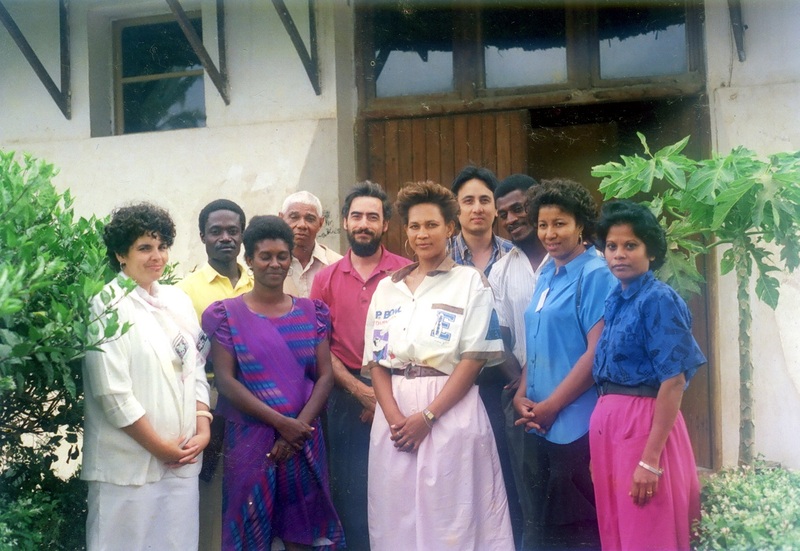 In these trips there was tremendous fellowship among the participants as we shared interesting stories, and sang songs all the time to uplift our spirit. The first island I visited was Polillio Island in the province of Quezon. It was memorable as our six- member team was the first to open up this island. After a week-long trip there were enough Bahá’ís to form an Assembly by Ridvan. Another trip still vivid in my memory was to the island of Mindoro. it was an unforgettable two- day sea journey, followed by a day long bus journey, and a 2 day mountain trek all the way to visit the aboriginal Mangyan Bahá’ís. They had a tutorial school up in the mountains. It was the only school around there where people can get elementary education. Meanwhile, in 1984, my mother herself set an example. She sold off her hair dressing salon business in Penang and rented out her house to pioneer in Hadyaai in South Thailand. I was proud of my mother. 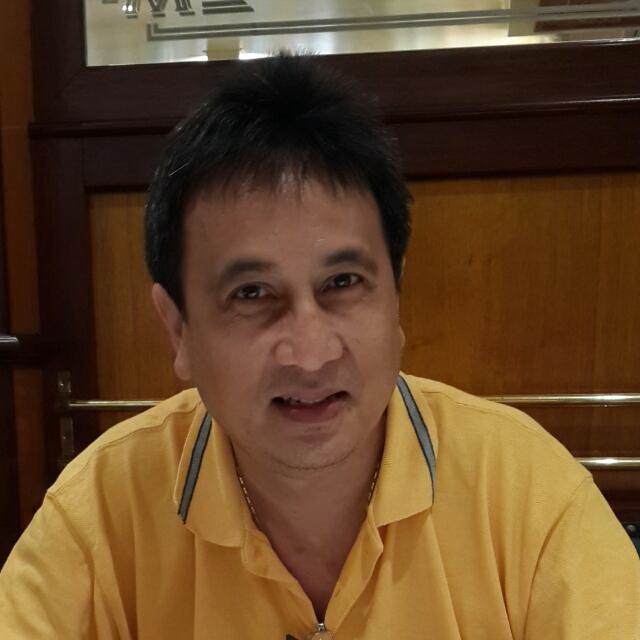 My Philippines pioneering days came to an end by May 1985, when I graduated as a Dental Doctor. I married Estela of Philippines and returned to Penang. After a week I joined my mother in her pioneering post in Haadyai. During my time with her she strongly suggested that instead of working in Malaysia I pioneered somewhere. I prayed and consulted the Universal House of Justice and was encouraged to pioneer in some African country. I took the guidance from the House of Justice as an answer from Bahá’u’lláh. 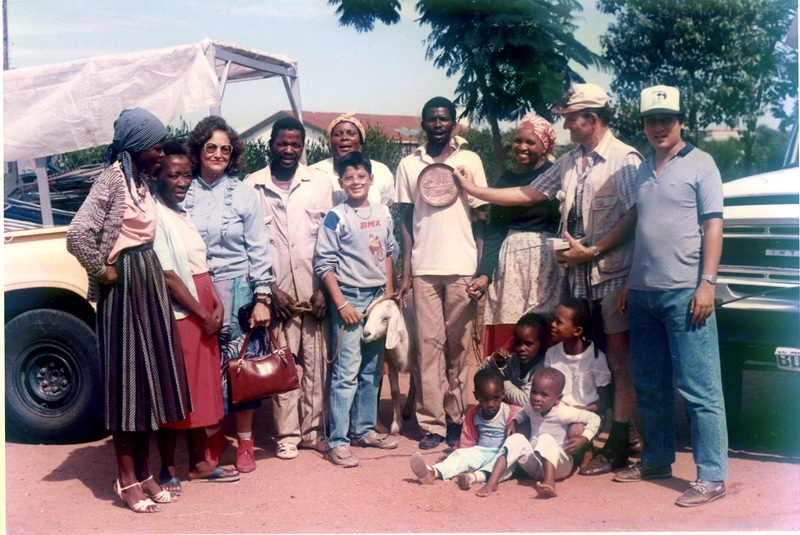 In October 1986, I headed to Malawi in Africa, all alone, leaving my wife under the loving care of my mom. I chose Malawi because an Iranian pioneer family- Farshid and Minoo Hakami offered to be my host until I got a stable job and settled myself. My expectations for an immediate position turned out to be a 10 month odyssey all the way from Tanzania to Botswana. After waiting for two fruitless months in Malawi the National Spiritual Assembly and Counselors suggested I travel to Zambia to try my luck there. I resumed my journey by bus to Lusaka in Zambia. The friends in Zambia were fantastic and helpful in every way. I also stayed a while in the home of Mr. Javaheri, who later became a member of the Supreme Body. At that time he was working for an agency of the United Nations. I knocked on many doors but none opened. After one month, I proceeded to Harare in Zimbabwe. There I was hosted by Counselor Shidan Fatheazam and his family. Zimbabwe at that time had a great economy with many pioneers. While still in Zimbabwe I had the bounty of meeting and traveling with Hand of Cause of God Mr. Collis Featherstone and his wife to meet communities all over the country. While in our generation not many would have had the chance to meet with the Hands of the Cause, here am I moving closely with one of them. This is perhaps one of the bounties of serving the Cause. It was indeed an unforgettable experience especially on his visit to the Victoria Falls Bahá’í community. It was situated next to the famous Victoria Falls. In Zimbabwe, Councellor Fatheazam advised me to go to Botswana.A week later I took a train and headed to Gaborone, capital of Botswana. The Bahá’ís there were excited to have me. There was a teaching project taking place. After a round of interviews with the Health Ministry and potential employers, I joined the Bahá’ís in their teaching activities. It was totally a different experience, as the trip took us into the Kalahari with a game park where wild animals roamed around. 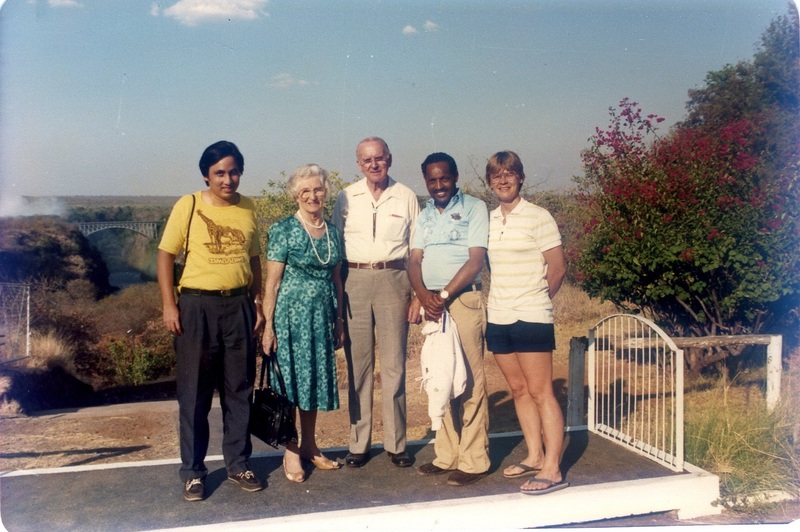 The headquarters of the teaching project was in the town of Mahalapye where there was a permanent teaching institute. There we were divided into teams and headed for our designated areas for week. The villagers were very primitive and we had to stay in the mud huts. But they were very receptive, and we always had enough Bahá’ís to form an Assembly by the time we left. I also had the opportunity to teach to the famous bushmen, but it was hard to form an Assembly as they were constantly on the move. After a month of travel teaching with no news of employment prospects, I decided to return to Malawi. Upon reaching Malawi a cable arrived from Tanzania about a vacancy in one of the hospitals in Dar-Es-Salaam. I immediately headed off to Tanzania. To my dismay and total disappointment and shock, I found out it was another scam. Totally dejectedly, I headed back to Malawi. Things were gloomy by that time and my limited funds were running out. These dramatic events that unfolded did dampen my spirit, but not the Faith I had in Bahá’u’lláh! 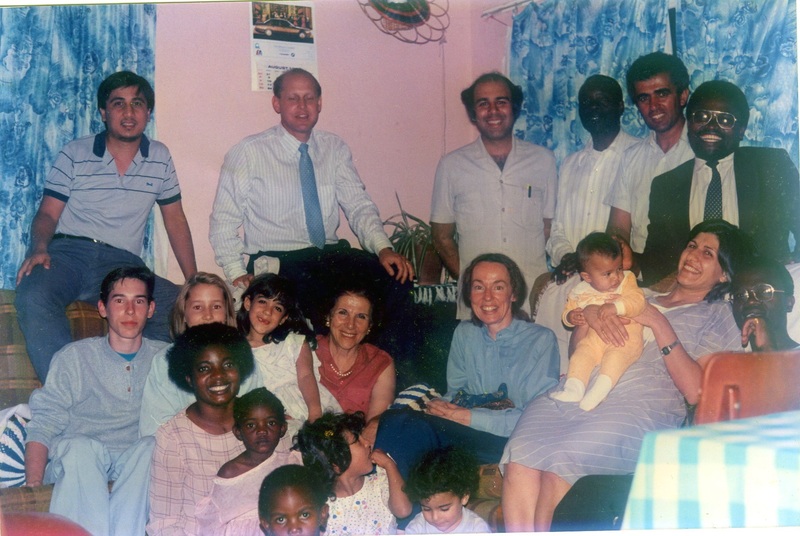 I was in Africa for the mission of my Heavenly Father, and with the blessings of the Universal House of Justice. In the wake of all these dampening situations, I kept recalling to my mind what the Beloved Master has told us, ” …..everything which happens is due to some wisdom and that nothing happens without a reason”. Incidents happen first, and wisdom is shown and known to us last. I surrendered myself to whatever He had destined for me. One thing was clear, I was patient and perhaps was being prepared to be a seasoned pioneer. Back in Malaysia my mom and wife were worried of my situation, and even fell sick. I too was worried and stressed about how their situation and my own predicament. Yet I felt composed when I kept calling the name of Bahá’u’lláh to my mind. After all I had come for His work. Deep inside I knew I would be tested, but never destroyed! When I consulted with the National Spiritual Assembly of Malawi, the institution suggested that I stayed on even if I have to find another job in another field. In the meantime I headed to the National Center in Blantyre to help out in the administrative and secretarial works. That mere involvement in Bahá’í work kept my spirit high. Around the end of July 1987 a cable from the National Assembly of Cape Verde informed of an opening for a Dental post in one of the hospitals. I took it as one of the same old stories. As I was low on funds and wary of false prospects, I replied I would travel there only if my employment was confirmed. They replied in the affirmative. At that time nobody had ever heard of Cape Verde. I thought it must be a province of Angola or Mozambique. Surprisingly even the travel agency had to refer to their manuals to find out the name of the airport. It turned out that Cape Verde is situated in the middle of the Atlantic Ocean, about 500 kilometers from the mainland. With almost nothing in my pocket I had to solicit a loan from the Continental Pioneering Committee for my plane ticket. It was immediately disbursed, and left for Cape Verde on 21 August, 1987. It was a tearful and sad farewell from the local Bahá’ís in Malawi, as they had shared my trials during all these times. I arrived in the island of Sal by 2 am on 22 August, 1987. At that time that was the only international airport in Cape Verde. I was warmly received by Dr. Pierre Martel, a Canadian pioneer, who is married our Malaysian pioneer Kamachee. Dr. Martel was also working at the same hospital where I was to work. The next day Dr. Martel and I flew off to Praia, the capital of the country. We went to the National Bahá’í Center and were received by the local Bahá’ís who were waiting for us with all excitement. That evening itself, Dr. Martel and I took a cab to the town of Assomada in the middle of the island. That was where the local hospital in which I was to work was situated. The very next day I was brought to meet with the Director of the Hospital. I was told to set up the Dental Clinic, and start work immediately. I just could not believe what I heard, and it took a while for what he had said to sink into my head. After all the difficulties and rejections I faced in job hunting over the past year, here I am told to start the work immediately! As it turned out, I the first ever Dental doctor for the whole region of 100,000 people. Can one imagine what a challenge it must have been for a fresh and young man as me. Wheels started to turn and was beginning to settle down. I communicated the glad developments to my mother and wife in Penang. Finally I was able to send for my wife to join me. My mother was excited and paid for her air travels. My wife joined me in November 1987. My wife did not have difficulties in arriving in Cape Verde as our Bahá’í friend T.K. Lee who was involved in a travel agency, was well conversant of international airline routes. But my wife did not imagine what a desolate country Cape Verde was at that time. I remember very well she told me upon leaving the plane and setting foot on the tarmac she wanted to go back into the plane and fly home. But she did realize that it was all for the happiness of Bahá’u’lláh that she had to sacrifice her own happiness- or collectively our happiness. I was happy to have married a Bahá’í, as she could understand what Bahá’í pioneering life would mean to her. After my wife arrived there were enough adults to form an Assembly. Several activities were initiated, and children classes became the talk of the town. Matters were difficult at first as it was a staunch Catholic country. But people were friendly and easy- going, especially to foreigners. I was well respected as I was a foreigner and they had to depend on the only Dentist. They perhaps dared not open their mouth as they knew they have to open their mouth wide when visiting me in the Dental Clinic. Community life was going on well. However the prime community building activity- summer school was absent.I remember how electrifying the Malaysian Bahá’í Summer Schools were, where I learnt community life. I felt Summer Schools would lift up the Bahá’í community to a new and higher pedestal. I suggested to the National Assembly and with its approval, we organized the first ever Bahá’í Summer School in October of 1990. However participation was confined to the island alone, as it was far too expensive for Bahá’ís from other islands to travel to Santiago Island. Although the gathering was small, the spirit was high with so many classes on various topics and subjects. The fellowship generated was very high. In 1991 I was elected to the National Spiritual Assembly and that opened the path for me to serve the Cause at the national level. From the time I was on the national institution, I had my hands full in serving the Faith. First time elected on the National Spiritual Assembly. Auxiliary Board Member Kamachee on extreme right. With a settled life now, my family expanded. We had our first child – a daughter was born in 1993.Her name is Chong Hwee Choo. A son Chong Hwee Fu was born in 1996. At this time I was 36 years old. I became home sick and I missed my friends and the 24 hour availability of the Malaysian food- Penang Laksa, Char Kueh Teow, Satay, Nasi Lemak,Ice Kachang, Chendul- you name it! But lets not forget durian, the king of fruits! To be honest, it was not the food that I craved for or missed most. 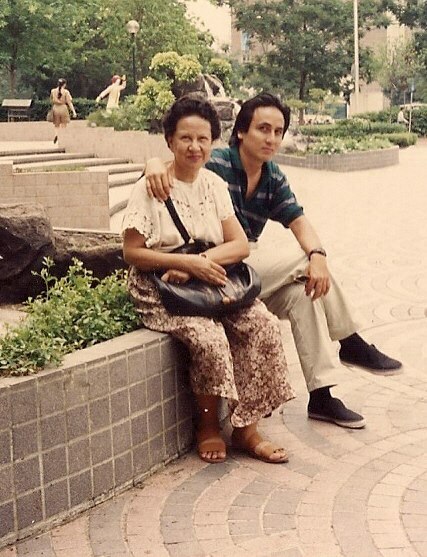 I wanted to be back in Malaysia as I missed my mom who had sacrificed so much for me. It was a new dilemma within me. I bought up my heart’s agony to the Counselors. They placed the spiritual cards in front of me. After consultations with Counselors, I prayed and mediated. My mind became more settled, composed and clearer. I made a firm decision to stay on and raise my family and serve Bahá’u’lláh in Cape Verde itself. I came as a pioneer under the Guidance of the infallible Universal House of Justice. A pioneer is one who does not relent, retract or retreat. In 1998 was a memorable year for me as I was to selected to attend the international convention in Haifa. There I had the bounty of meeting up with friends from all around the world,some of whom I had not seen in ages. As I am writing this article, it is almost 30 years since I arrived. I did not decide my destination or destiny. Turn of events brought me from place to place like a leaf carried by wind. Finally this unworthy leaf was dropped in Cape Verde. I feel it is a blessing and great bounty to be serving the Faith in Cape Verde. 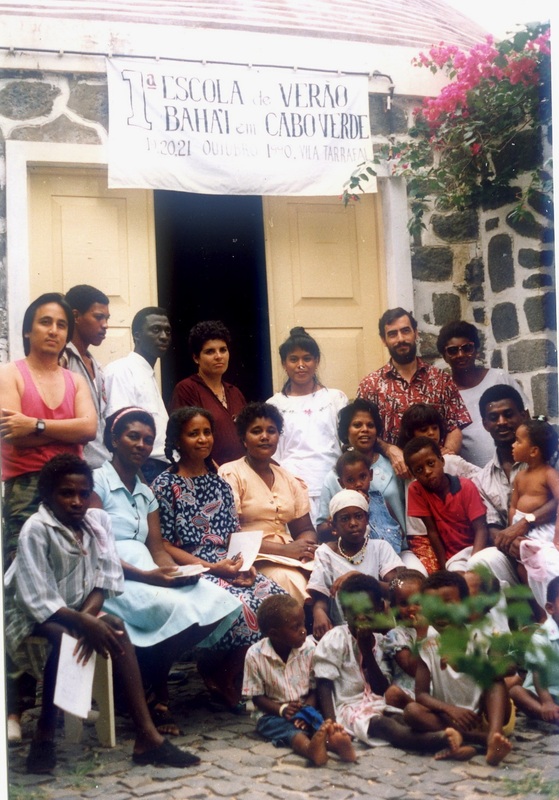 When I look back, it appears that there was a place that Bahá’u’lláh had destined for me and that was Cape Verde. I am a happy man because I allowed His will to dictate my life.